This is part 9 of the Freelap Friday Five Series, Season Three. To review the past 38 interviews, click here. For all the aspiring Decathletes out there, I wanted to take a closer look at the event and ask some obvious and not so obvious questions. 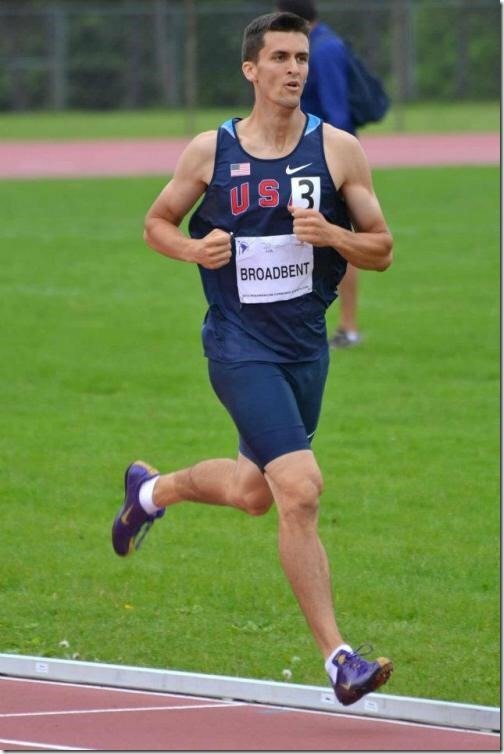 Eric Broadbent is a certified USA Track and Field Level 2 Coach, Certified Strength & Conditioning Specialist (CSCS), holds USTFCCCA Track & Field Technical Certification, and a USA Weightlifting Sport Performance Coach. He also has over 6 years of coaching experience including coaching at North Carolina State and West Chester University. 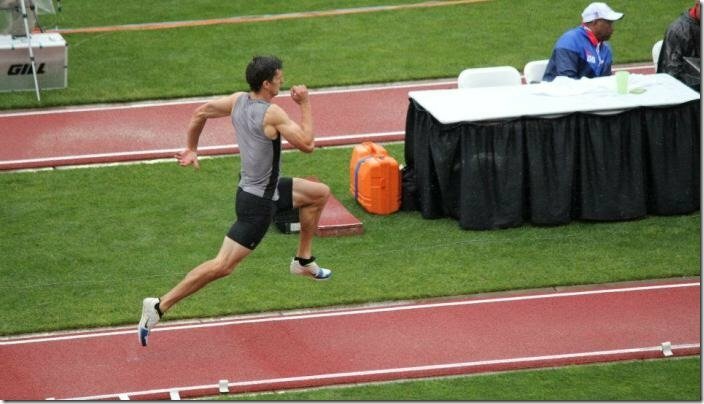 As an athlete, he won the USATF 2012 Indoor Heptathlon and was an Olympic Trials Qualifier. That same year he represented the US in the Pan American Cup and took 2nd place. 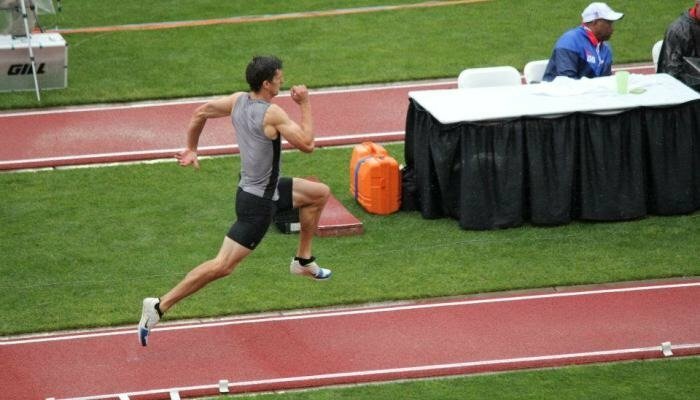 As a national level competitor he also had top 6 finishes at the 2009 and 2010 Indoor Combined Events Championship and finished 10th at the 2011 Outdoor National Championships. Eric is also a guest writer for this Blog: click here for the full list. Be sure to read the 4 part series on Multi-Event training. Question 1: On Warming Up… Do you really need to do a full warm up for all 5 events on the same day? Eric Broadbent: It is definitely not necessary to do a full warm up for all 5 events each day. Doing a full warm up is necessary at the beginning of each day though, and I prefer making the warm up slightly longer going in to day 2 because of the increased soreness and tightness that usually accompanies that day. The key is finding the balance for each event and what is necessary to be ready to compete. This usually takes a little bit of practice and listening to your body or talking with your athletes about how many warm-ups to take. It is going to be different for each athlete also. You never want to be the athlete who PR’s in warm-ups and then has a mediocre performances when it actually counts! The throwing events usually take the least amount of time to warm-up for especially when they are right after a jumping or running event. A few minutes of general activating and some mobility work is all that it really takes before you are ready to do some technical work prior to the event. Another thing to consider with the amount of time spending warming up is the weather. If it is really warm then the athlete is going to need less movement to get warmed up so the coach should not force the entire warm up if this is the case. Question 2: How does it feel to wake up on Day 2 at 5am to get ready for the 9am 110mH, after doing 5 events with the 400m at 9pm the night before? Do you really need to wake up 4 hours before your first event? Eric Broadbent: It never feels good waking up on day 2 of competition. This is the time when every multi eventer questions the path they chose in life…kidding! Usually you are going to be feeling pretty darn sore especially if you got after it in the 400. That being said, I think it is really important for the athlete to do a shake out right when they wake up to get things moving and loosen up a bit. Waking up early is also critical and a lot of athletes will fight you on this one. Sleep is important too so making sure the athlete goes to bed early is the first goal. This can be tough to accomplish if day 1 ends late and the athlete still needs to cool down, eat, shower/ice bath and wind down. I think a general rule of thumb is to wake up 4-5 hours before competition but if day 2 starts at 8am then I personally wouldn’t have my athletes get up any earlier than 5am. Question 3: Which is event is the toughest to improve? The skill events, or the events that rely on strength/power/speed? (HJ is the #1 event to degrade with older athletes, in my opinion). Do you feel strength/power/speed is the asset for 9 out of the 10 events? Eric Broadbent: I don’t know if I could say one event that is really the toughest to improve in. I think the slightly less technical events like the 100, 400 and 1500 can be improved upon pretty easily unless the athlete is close to their ceiling of potential. As an athlete the two hardest events for me to improve upon were the pole vault and the javelin. I was a head case in the pole vault so even though I had great coaching in that event I still didn’t reach my full potential. The pole vault is incredibly technical but most athletes who are new to the event can usually improve pretty quickly with good coaching. There are also certain events that can rack up a lot of points with much smaller margins of improvement. For example in the Pole Vault each height, while only moving up 10 centimeters, the score goes up by approximately 30 points. Compare that to improving a full second in the 400 meters and you only get 45 extra points. To answer your 2nd question, yes, those are the most important qualities to train and need to be the main focus! Obviously there comes a point where the athlete is strong enough and maintaining that strength should be implemented. I hate when people talk about building a base and doing a bunch of low intensity crap so the athlete can “endure” all 10 events. When I was an athlete, day 1 of training started off with some technical medicine ball work for the shot put, an acceleration session in flats, then some strength work in the weight room. Our main focus was to be as fast and powerful as possible and be more technically sound than the previous year in all of the events. When aerobic training takes priority in any phase of training, then speed/power qualities will take a hit which is never what you want. Question 4: How critical is the 100m on day 1? And how do you deal with 2 consecutive fouls in the LJ or PV or the throwing events? Eric Broadbent: It is always important to get a great start to day 1 with a big performance in the 100m. When an athlete PR’s in the 100 then that usually bodes well for the LJ and the 400 on that day and can be a great boost to the confidence as the day unfolds. If the athlete is within .2 of their PR then they will usually be feeling good enough and won’t lose many points based off their PR so it isn’t that big of a deal. Anything more than that though and they will be missing out on some big points because each tenth in the 100m is worth between 20 to 25 points! I think the hurdles to start day 2 is slightly more important because a lot more can go wrong in that event because you have to negotiate 10 barriers. Couple that with increased soreness from the previous 5 events, and you really want to make sure your athlete is good to go in warm ups. As far as 2 fouls go, I have had several times in my career where I’ve had two consecutive misses, especially in the pole vault! It can be one of the most nerve racking things in the world. In certain events it is easy to say move back 1 foot and get a fair jump, or just go from power and lets get a mark, but for the Pole Vault and the High Jump this may not be so easy. The key is to get the appropriate feedback based off of the previous two attempts and put all of the focus in to the current attempt. When thoughts start creeping in about how your going to feel if you do no height or don’t get a mark then usually things aren’t going to work out so well for you! READ Usain Bolt Puma Cell Mio - Where are They Now? 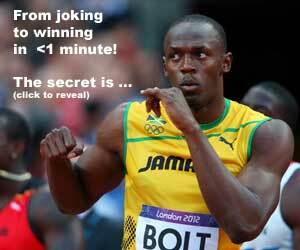 Question 5: Do you really need to train for the 1500m? Do you go out and do a 7 mile run once a week? 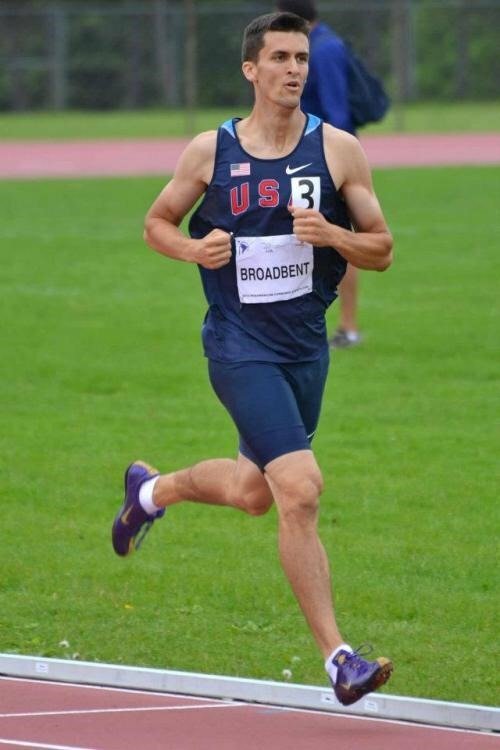 Eric Broadbent: I think you need to spend an adequate amount of time training for the 1500m. It should never be the primary focus, for reasons stated above, but it still needs to be consistently there so the athlete has the confidence to run it. I personally would never have an athlete do mileage of any sort. As an athlete I would do a 15′ fartlek once a week for the first training cycle. From there, I would do 1-2 extensive tempo/pace work days of training per week on our low intensity training sessions. The total volume for each session would be between 1,000-2,000 meters. Gradually the distances would become longer and we would occasionally do longer reps in the 400-500 range, but the volume was always pretty low. Having longer warm ups, building up the athletes work capacity, and being fit for the 400 go a long way in developing the endurance for the 1500 also.